Recycling will be available throughout the park for your recyclable waste. 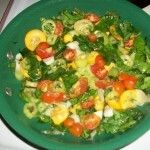 Our catering will be sourcing local and organic ingredients for our meals. We encourage participants to bring your own mug for water and tea service. Forget yours? We will have commemorative mugs available for sale at the Florida Herbal Conference booth. 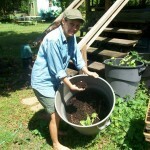 Barefoot Creek is happy to set up a smooth composting system at the Conference to allow the attendees to share their food leftovers with the gardens at Barefoot Creek. 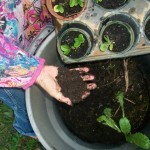 Composting is one of the keys to a rich, vibrant garden full of nutrient-dense foods. 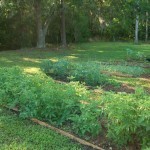 Peg & Jeff Campbell from Barefoot Creek, 10 miles North of Lakeland, FL grow fruits and vegetables in a natural way, in harmony with Mother Nature. They compost, utilize chemical-free growing practices, and freshly harvest produce for the Lakeland Downtown Farmer’s Curb Market on most Saturday’s from 8-2 p.m.